While home funerals have been gaining popularity in New England and around the country, most families choosing one still utilize some services offered by a local funeral home in order to make the process less stressful. Home funerals can provide a feeling of safety and comfort for loved ones, and can add a positive and meaningful experience for attendees. Having a celebration of your life in a location where your friends and loved ones already feel comfortable could make the process of saying goodbye an easier one. The entire concept may be unusual to some. What exactly are at home funerals? The process includes all post-death care before the body is laid to rest. If not being cremated, this also includes all preparation of the body for viewing at a visitation and funeral service. Involving your family members in the intimate preparation of the body can aid the grieving process for some. Children can learn about the laying-to-rest process, which may take some of the fear and sorrow out of the concept of death. 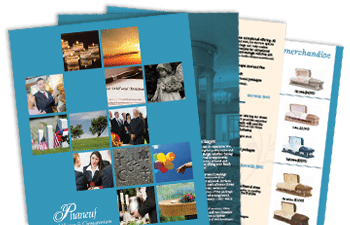 Even if you aren’t planning to have a visitation or funeral with us, Phaneuf Funeral Homes and Crematorium can advise you in the many aspects of a home funeral. There are definitely some things to consider before deciding a home funeral is the way to go. Knowing your state’s laws and regulations on home funerals and the elements around them is something you should look into right away. In New Hampshire, for example, you will need to apply for a death certificate. Embalming is not necessary in New Hampshire, unless a body will be on display for more than 24 hours. New Hampshire does not have a specific law requiring a type of casket, but cemeteries and places where the body will be interred have their own rules. Burial outside of a cemetery is possible in New Hampshire, but each town may have its own guidelines for burial on private land. There are no laws regarding scattering cremated remains (ashes) in public places in New Hampshire, but if you choose a federal property (park, monument), you should contact them first to find out if they have any regulations. In Vermont, it is also not necessary to have a funeral director be part of a home funeral. You can also complete and file the death certificate for your loved one. The state does require a burial-transmit permit if you are moving the body from the place of death to the home for a funeral. A reason for the growing trend of home funerals is that they can provide faster healing and acceptance of a death, but dealing with all aspects of a funeral can be challenging. Whether planning for a funeral at home or at a funeral home, please know that we are here to answer any questions about funeral planning that you may have. What is the origin of the term funeral parlor?